Tahrir Square, Cairo, Egypt. Photo: Joseph Hill. Creative Commons BY-NC-SA 2.0 (cropped). When a Tunisian fruit vendor named Mohamed Bouazizi set himself on fire in front of a local governor’s office as an act of protest in December 2010, few people would have imagined that his actions would change the course of history in the Arab world. Indeed, Bouazizi’s act of defiance set off a series of revolutionary protests that spread from Northwest Africa to the Persian Gulf, and resulted in the overthrow of several entrenched leaders including Zine El Abidine Ben Ali of Tunisia, Muammar Qaddafi of Libya, Hosni Mubarak of Egypt, and Ali Abdullah Saleh of Yemen. Though these events were seen by many as a new democratic dawn for the Middle East, the revolutions have actually raised questions about the current state of liberal democracy in the world, as well as its future. Though this somewhat fanciful argument may have been largely driven by a sense of cold war victory euphoria, the aforementioned Arab Spring that began in 2010, along with the recently held elections in Egypt have added a new relevance to this discussion and revived several associated questions. Is liberal democracy indeed a universal desire? Is it truly the pinnacle of human governance? As mentioned, several Middle Eastern and North African countries underwent changes in government as part of the Arab Spring, but no revolution was as internationally consequential as the one that took place in Egypt, the most populous state in the Arab world. The Egyptian protest movement began in late January 2011 and managed to force the resignation of President Hosni Mubarak within a matter of weeks, following roughly three decades in power. This capitulation initially appeared to be a potential victory for liberal democracy. While liberalism defines a set of cultural values, democracy strictly defines a political system. Though it is somewhat uncommon, it is indeed possible for people to embrace one, but not the other. As such, there appeared to be a widespread desire for a democratic government, but actually much less support for liberal values like gender equality and secularism. In other words, it seemed that the common Western tendency to think of liberal ideals and democracy as one and the same was not necessarily correct. While liberalism defines a set of cultural values, democracy strictly defines a political system. Though it is somewhat uncommon, it is indeed possible for people to embrace one, but not the other. In a sense, the Egyptian poll results should not be surprising. The desire for people to have a government that is responsive to the needs of the public is certainly understandable, but it is equally understandable that people would like to live within the cultural values that have developed locally over decades, centuries, and perhaps even millennia. While one can certainly argue about the merits of a particular set of values, it will always be difficult, for better or worse, to actually change the culture that is indigenous to a particular country or population. Indeed, the Egyptian desire for democracy appeared to take a step forward after the successful completion of presidential elections in the summer of 2012, which put Mohamed Morsi, a member of the previously outlawed Muslim Brotherhood, into power. However, the Egyptian honeymoon with democracy would eventually prove to be short-lived. Soon after taking power, Morsi began implementing an agenda aimed at consolidating his own power while weakening his opponents. Most symbolically, Morsi singlehandedly enacted a law in November 2012 exempting himself from judicial review by the Egyptian courts. This move would have allowed him to issue any decree without having to face any kind of review process, clearly undermining the integrity of the newly formed Egyptian democracy. Within months, the public once again took to the streets, leading Morsi to be eventually deposed by the military, which had been mostly passive during the revolution against Mubarak. This second change of government in less than three years actually demonstrated one of the difficulties that can arise in a post-revolution democracy: social fragmentation. In the Egyptian case, the inherently adversarial nature of democracy created conflicts between opposing political views that proved difficult to reconcile. The Muslim Brotherhood and other similar Islamist organizations had been suppressed under the Mubarak regime, which meant that after the revolution, they reemerged and began to clash with their secular opponents. In other words, preexisting social rifts that had been hidden were brought to the forefront and created a climate where it was difficult for opposing groups to create a peaceful co-existence, which in turn led to a sometimes violent struggle for power. These developments supported the notion that democratic habits and institutions are built up over time and that it is unrealistic to expect that a newly formed democracy will operate smoothly from the beginning. Indeed, one might even say that the overthrow of Morsi was an extreme example of the growing pains that a new democracy can go through. In fact, it appears that despite taking two steps back, Egypt may have now taken one step forward with the successful completion of elections on May 28. However, the overwhelming results — with as many as 93 percent of voters casting their ballot for Abdel Fattah al-Sisi, one of the architects of the coup against Morsi — suggest that the country still has a long way to go before it has a truly vibrant and pluralistic political system. Many who live in the West have come to the assumption that Western liberal values are universal in their appeal and have a difficult time understanding why some would reject them. They have also come to the erroneous assumption that those who seek democracy are also looking to adopt Western values. In fact, a major reason why liberalism has failed to gain a foothold in many countries is because the countries that promote liberal values often fail to live up to them. Numerous examples of hypocrisy and abuses of power over the past several decades have eroded the power, leadership, and trust of the West. For example, despite touting the rule of law as a basic tenet of liberal democracy, the most powerful Western countries have flouted international laws and norms for years. From American interventions in Latin America during the cold war, to the North Atlantic Treaty Organization’s intervention in Kosovo during the late 1990s, the second war in Iraq beginning in 2003, and the 2011 Libyan intervention where Western forces overstepped their UN Security Council mandate, Western liberal democracies have repeatedly demonstrated contempt for the law. Unless this pattern of hypocrisy can be rectified, liberal Western values will surely never become universal. In sum, the Egyptian situation, as well as the whole Arab Spring and more recent Ukrainian revolution, have demonstrated a nearly universal desire for people to achieve some form of a democratic government. However, these same events have also shown that liberal values, which are often thought of as being synonymous with democratic values, are far less universal. Indeed, this is because it is far easier to change a country’s system of government, rather than its culture. If Western countries are going to continue promoting liberal democracy as the ideal system of governance, they will have to recognize this distinction and also make sure that they are living up to their own standards. 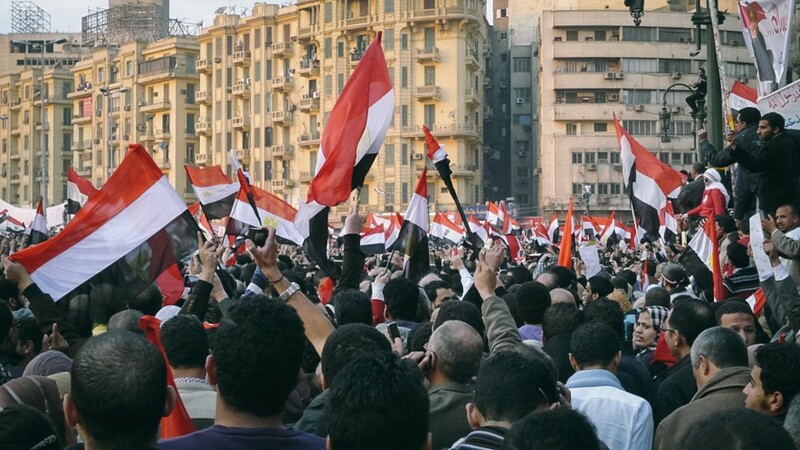 What Egypt Tells Us about the State of Democracy by Anthony Yazaki is licensed under a Creative Commons Attribution-NonCommercial-ShareAlike 4.0 International License. Anthony Yazaki is a research fellow at the UNU Centre for Policy Research and has a master’s degree in Sustainability, Development, and Peace from the UNU. He previously worked as a producer for NHK News in Washington, DC, where he covered the US State Department.